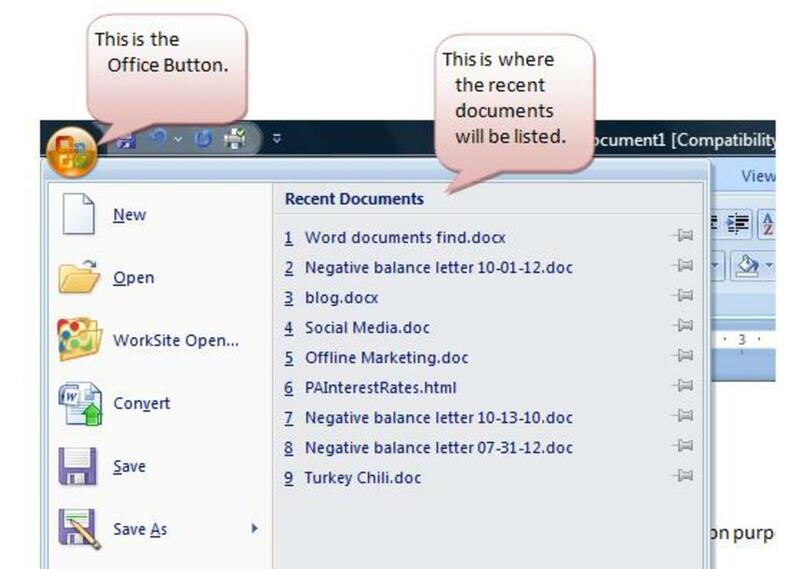 Learn how to use the basic features of Word such as copy, paste, print and undo buttons as you write your document. 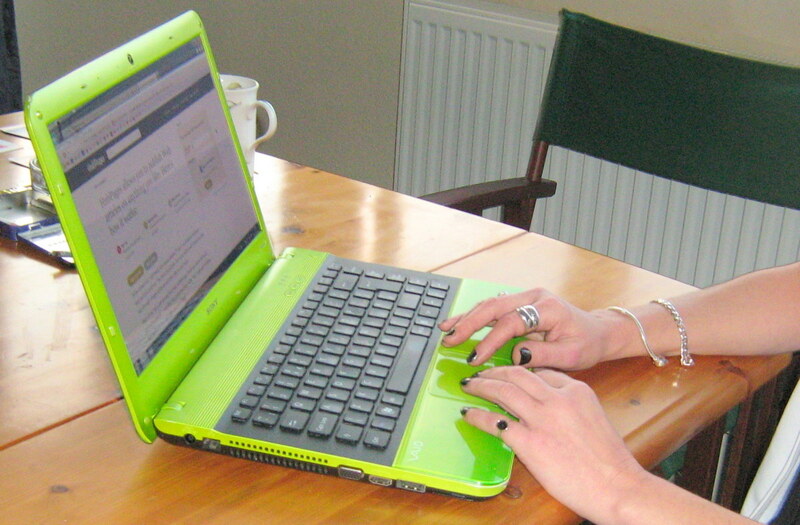 You will soon become an expert in writing the best documents on your laptop. There are explanations for word count, spell check, undo, redo and the recycle bin. Step by step instructions for using Microsoft Word Office. You have written your document but decide you want to move some of the text around. Or you want to move one paragraph above another. How do you achieve this. By using the cut, copy and paste options on your computer. 3. Press the icon. The text disappears, but is not lost. It is stored on the computer memory. 4. Move the cursor to the place you want to put the text. Press the cursor on the left to lock position. 5. Press Paste, on the toolbar, (picture of clipboard). Your text will reappear. There are other useful things to use the PASTE icon for. Whether you use the Cut or Copy feature you can paste the item multiple times without having to go back through the whole process. The last action you did stays on the memory until you close down the computer. This is great for pasting Clip art, Text boxes and Word Art. If you are doing a poster for a jumble sale or raffle for instance. 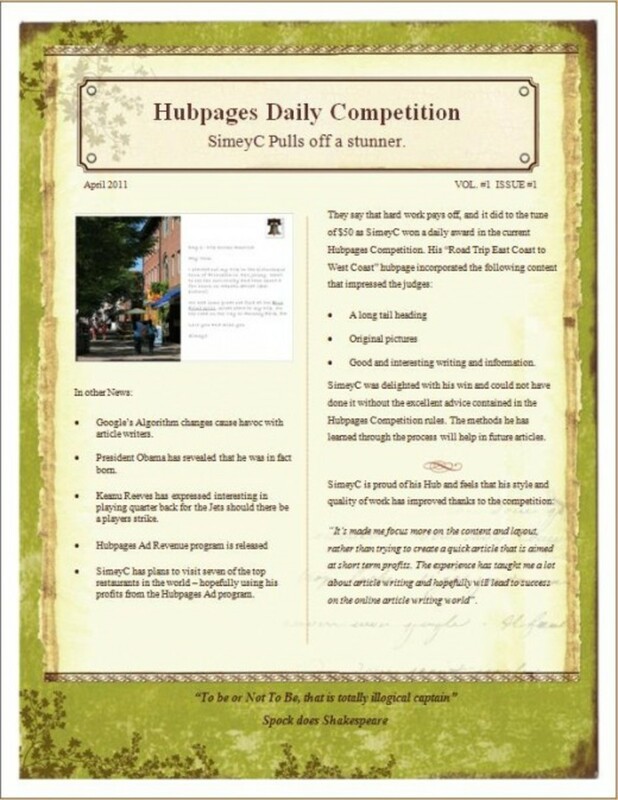 You get a picture from Clip Art and paste on your page. You want to have five of these pictures. Just press the PASTE icon five times. No need to shade and Copy five times. If a red line appears under a word it is usually spelt wrong. Move the cursor over the word and click the left button on the mouse. This brings up your options. Scroll down to the one you want. Click the left button… It is done. 3.Add. You know this is the CORRECT spelling of the word, usually names, places or organisations that the computer doesn't recognise. Shows you how many words, characters, paragraphs and lines you have on your document. Very useful when writing a document which specifies how many words are allowed. Or shade the selected area of text you wish to count. Go to TOOLS on your toolbar. You will now see all the information you require. A picture of a tick, on the Toolbar, (next to paint brush). This is very handy if you've pressed the wrong button and something terrible happens to your work, especially if you’re not sure what button you pressed and your work disappeared. 1. Press the Undo Button and the last thing you did will be ‘undone’. Useful if writing reports or letters. You can change the style, size or font and if you don’t like it you can press ‘undo’ rather than going back and fixing your report back to the original design. When you delete a document it has not been deleted from your computer. It has only been put in the Recycle Bin. This still takes up memory on your computer and anyone who has access to your computer also has access to your deleted document in the Bin. If you want to delete a document from your computer completely you need to empty the Recycle Bin regularly. 1. Open Recycle Bin. If you are the only person with access to your computer it is easier to make a shortcut on your Desktop, to your Recycle Bin. Right click the icon and click on Empty Recycle Bin. You will be asked if you are sure, press ‘OK’. Now all the documents have been completely deleted from your computer. 2. If you deleted a document by mistake you can get it back from the Recycle Bin. Open the Recycle Bin, scroll down to the document you want to retrieve. Click on ‘Restore’. This will put the document back on your computer. 3. When you are emptying the Bin you may want to check to see what is in there first. Go to Recycle Bin and click on ‘Open’. 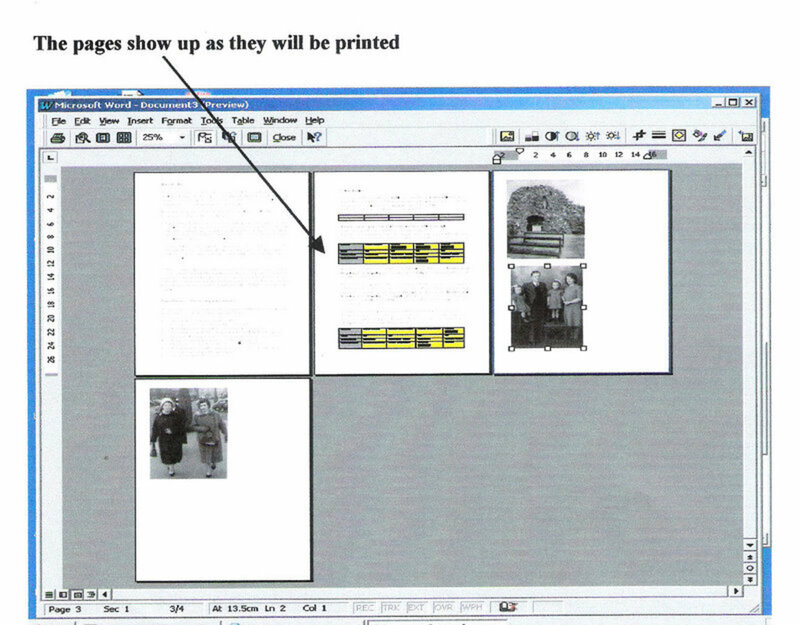 You can now see the entire documents in the bin. 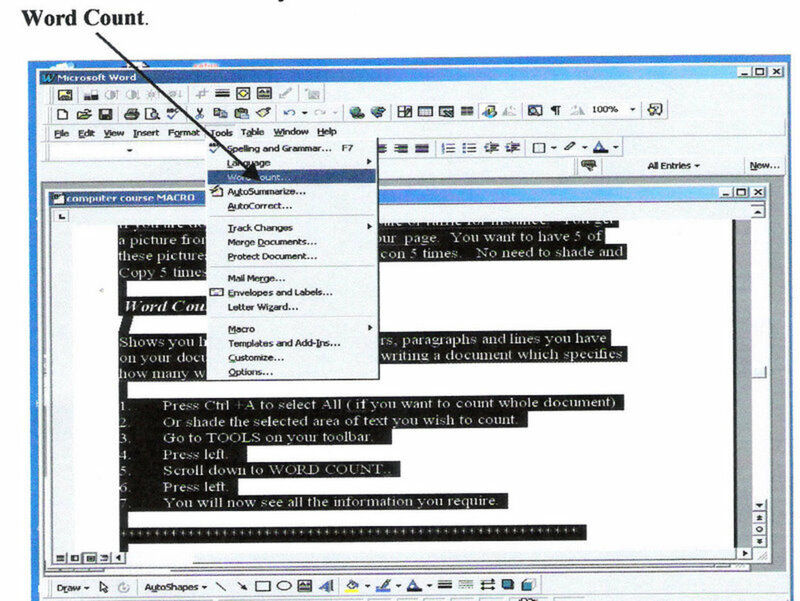 You can also open any individual document and read it. If you only want to delete some documents from the bin, click on the document name and press delete. This way it will only delete those you have shaded. Once you start to have lots of documents you may want to rename them for better filing. Eg. You were working on a project (6 lessons) where you needed to have 6 separate documents written. You named them as lesson 1, lesson 2 etc. Then you wanted to create another project with 4 lessons in it. You will not be allowed to name them lesson 1, lesson 2 etc because this is already there. You need to ‘re name’ your documents. Make sure ALL the documents you want to rename are closed. Open up a blank word document. Go to Open Documents. (yellow folder icon), or go to FILE, Open. A box will open with all your word documents contained in it. Right click on the document you wish to rename. Scroll down to Rename, click on it. A box will surround the named document. Click your cursor anywhere outside the box. If you had 6 lessons all on different documents, for a course about setting up a website then you could rename them ‘Website Course, lesson 1, Website Course lesson 2 etc. The next time you open up your files ALL 6 lessons will be placed one after the other, in alphabetical order. This makes for better management of your files. Press left button, you will see your document on the screen. To see more than one document at a time press Multiple Pages icon, (box with 4 white pages) Press how many pages you want to see. If the page is too small to work with go to the box with 26% in it. Press arrow to change the size of page. Before printing any document always check your document in Print Preview. If you are happy with it press close. To print out a document once, go to the Print icon (picture of Printer),on the Toolbar. Press with the left button on mouse. To use other options go to the word File on Toolbar. Scroll down to Print. A box with options will appear. 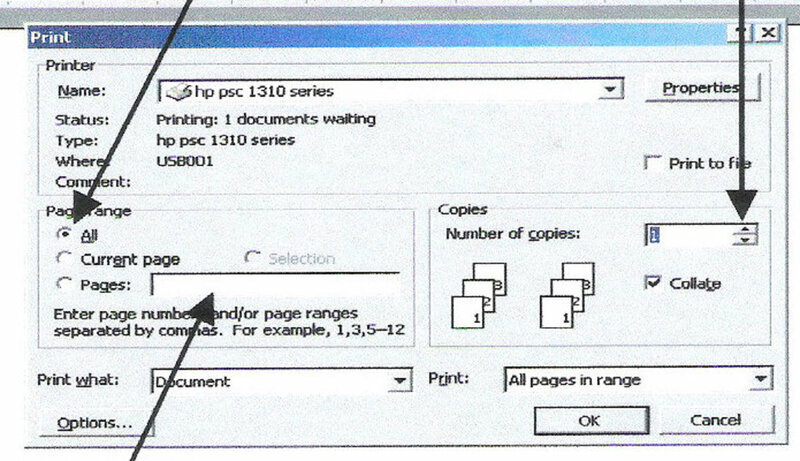 To print more than one set of pages go to the Number of Copies. Use the arrow to count how many you wish to print. 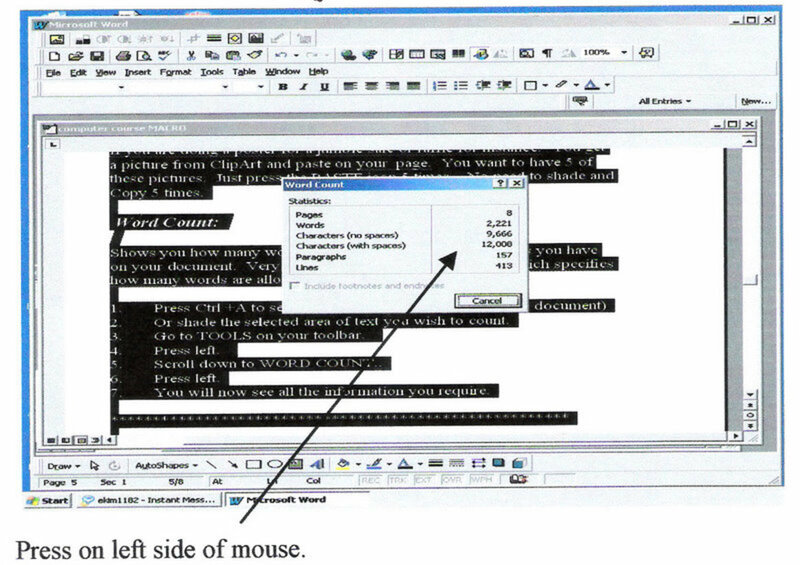 Press OK.
Press the left button of mouse anywhere within the page to be printed. Then go to print and press the small circle beside Current Page. This will then only print out this one page. If you want to print out three pages of the six page document, go to print. Type in the number of each page you want to print. Separate them with a comma. If you have a larger document of say twenty three pages and want to print out seven pages which are in sequence you can put it into the ‘pages’ box like this, 5-11. This saves you typing in each number. Collate should always be ticked. When you print out six copies of a three page letter for example it prints it out as three pages together six times. If you are printing out a photograph and using photo paper, go to File, scroll down to print. Scroll down to Type is, press on the arrow and choose the paper you are using. Then to print press OK again. Once you use these basic features a few times you will find them much easier to remember. When creating your Word document you will find spell check, undo, cut, copy and paste invaluable tools that will help you create and print a professional and useful document. Microsoft Word is the word processor that most people use today. So it makes sense to spend some time learning the basic functions available. I am glad the info helped you annathegreat111. 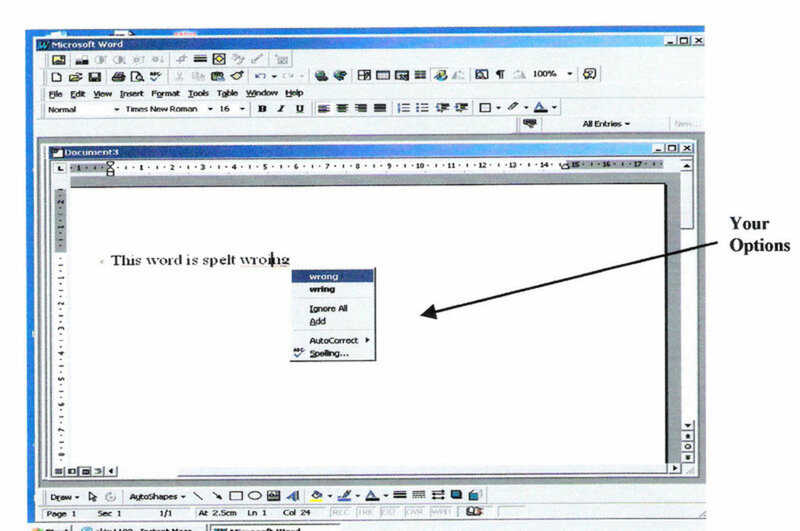 Microsoft Word has so many great features to help the writer and student create better articles and documents. Thanks for reading and taking the time to comment. These snapshots are from my work notes that I used when I taught computer lessons a while back. A very informative guide and I like the way that you use screenshots to make it far easier to understand. I'm always using the undo, cut and paste features on my netbook, as I have a nasty habit of moving text with the touch-pad, ending up deleting text or putting it in the wrong place. Thanks for SHARING, up and useful. I would add that spell check can be also accessed with F7 keyboard shortcut. 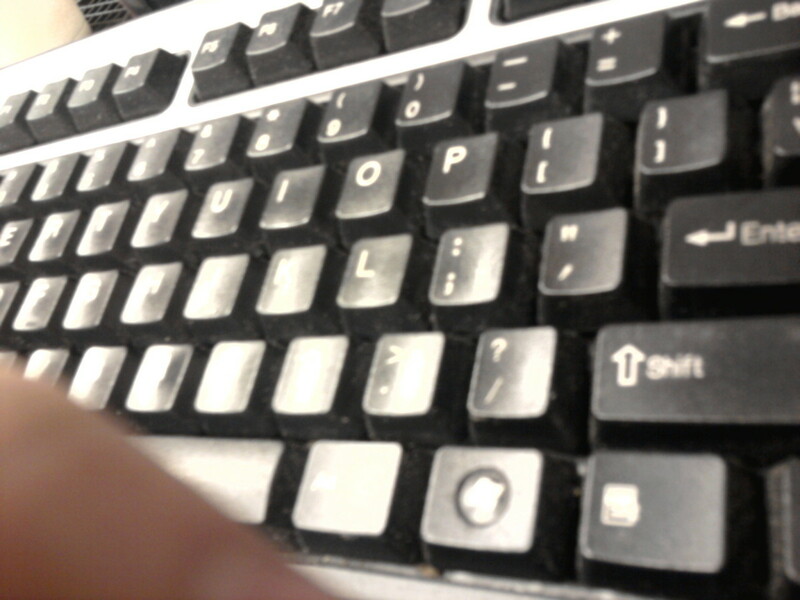 Also, if you have it turned on it checkes your grammar as you type. 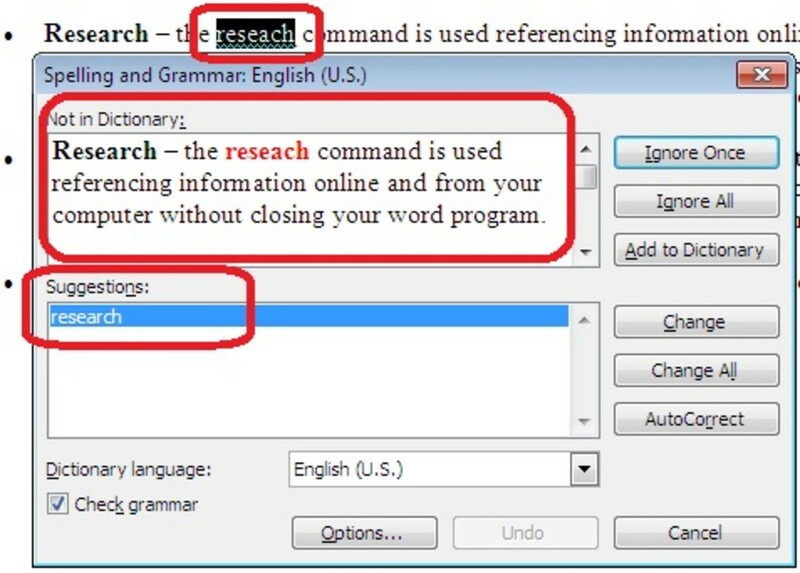 If you must correct the word it is enough to hover mouse over it, right click on the mouse and Word offers you options to correct the mistake.